Blackjack is the most popular casino table game and has been since 1965, shortly after Edward Thorp’s book Beat the Dealer became a sensation. Thorp correctly wrote that blackjack could be beaten by keeping track of the cards; in short, card counting. The general purpose of the game is to beat the dealer’s hand without going over 21. A player who knows the computer-derived basic strategy for playing his hands can keep the house edge around one-half of one percent – a loss of 50 cents per $100 wagered. At first glance, blackjack is a simple game. But, there are few key strategies and suggestions to consider to help make your next session a winning one. One of the easiest ways to start off right is to know the rules of the table you are considering playing on. Yes, all blackjack has the same basic rules, but the devil is in the details! Here is the breakdown on when to stay and play…and when to stay away! With the best rules, the house edge can go under one-half percent. With poor rules, the house edge will inch towards one percent. 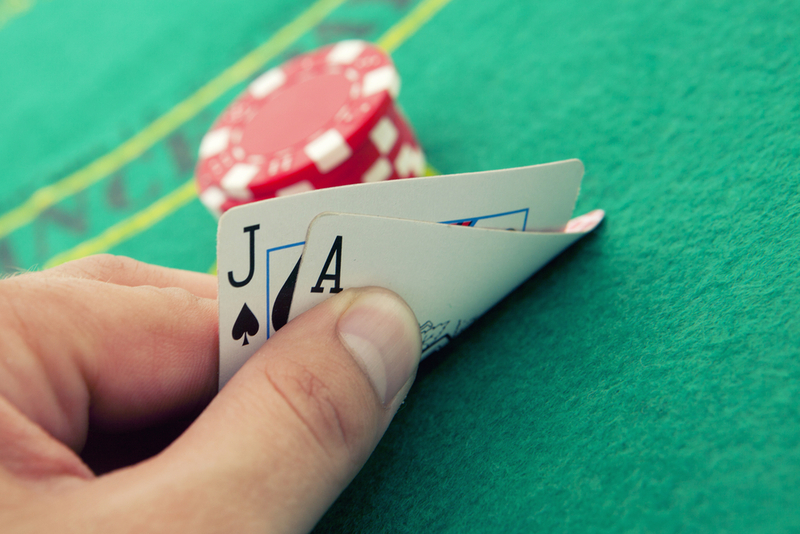 In a game where blackjack pays 6-to-5, the house edge will go well over one percent so BEWARE! In general, the casino wins about 48 percent of the time; the player wins about 44 percent of the time and the other 8 percent are pushes. Since the player has options on certain hands that will bring in more money to him, including doubling down, splitting, doubling after splits and payments of 3-to-2 on naturals, the game becomes an economically close contest. So, how do you know what strategy to use with your bankroll? First of all, I recommend 50 units as your session bankroll. So, if you are a $10 player that means you should have $500 for a session. Long losing streaks – 10 or more hands in a row – are not rare. You want to be able to weather those awfully long streaks. Blackjack is a fast game. As a basic strategy player you do not want to play 100 hands per hour. So be sure to look for tables that are almost full and sit down at those. The more players the fewer the hands you’ll play; the fewer the hands the better for you. Look for games where the casino cuts a lot of cards out of play because the dealer will have to shuffle more often. You want to play no more than 80 hands per hour – and it is preferable if you can cut that down to 60 hands per hour. Small house edges become deadly when the number of decisions skyrocket. There is a belief that if you lose a few hands in a row, the table is cold so go to another table where your luck will change. Winning and losing streaks at blackjack are common for all tables. Switching tables will not help you win more or lose less. Another silly idea that costs you money is to take “even-money” when you have a blackjack and the dealer is showing an ace. You win more money over time not taking even money. Your blackjack wins 3-to-2 and that overcomes all those even-money bets. So don’t insure or take even-money. Don’t hang on to hope and pull an all-nighter at the table. This isn’t a cram session for a college exam…you are playing with real money and you will lose it. I think a two-hour session would be the maximum and suitable length of time. You can also play based on the money you have won or lost. If you are ahead by “X” amount at the end of an hour but you are still eager to continue, you might want to take half of that “X” (if it is large enough) and play until you double it or lose it all. You’d still be able to leave the session ahead. If you are behind at the end of the hour, then maybe take a break. When playing against a house edge, anything you do in the money-management department is not going to change the fact that in time you will lose. Still, taking breaks; splitting up your wins to play a little longer but never playing all that you have won, are good ways to extend your ability to play without losing your stake at any one session or trip. Finally, the key ingredient in playing a powerful game of blackjack is the use of basic strategy. In my book Beat Blackjack Now: The Easiest Way to Get the Edge I show the basic strategies for almost all the different types of blackjack games. However, here is a generic basic strategy that can get you started on your way in the blackjack world. For boxes with a slash / use play on the left if permitted; if not, use play on the right.